See our Olievenhoutbosch video: Most of the people in the video are operating at very different levels today. You will find them on the web! Case studies from 2006 showing people succeeding. 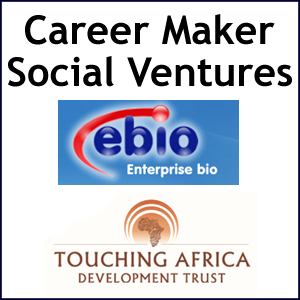 The history of ebio and Career Maker System in Social enterprise. 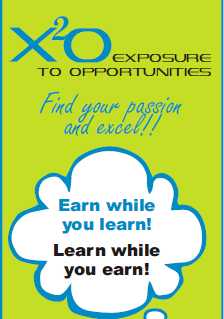 Many people got core proficiencies, work choice and work experience. Many of them are successful entrepreneurs today. 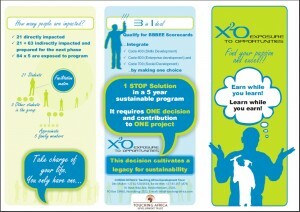 The program works in any culture since it works with and pro-actively supports the local culture and leaders. Thanks to the enrichment and expansion of our minds working with HP, who operated in many cultures, mixing the cultures in training and business processes. It is an investment from the Visagie family and Inala Technology (Pty) Ltd, a company started by the Visagie family. 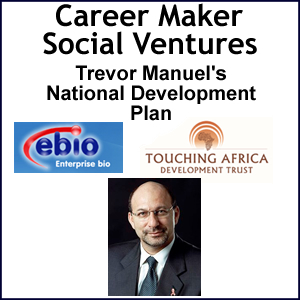 Thanks to Braam de Villiers who supported the program at critical times! Today ebio, the underlying learning methodology, is linked with all the inputs and experiences from Prof Japie Kroon NWU South Africa. Career Maker System is a professional career builder program based on our past in building 28 businesses and starting with what we learned from the Hewlett Packard way from Bill Hewlett and Dave Packard! THANKS BILL to DAVE!